The main aim of the English Civil War Society is to stimulate interest in the authentic re-creation of seventeenth century military and civil life and in so doing we endeavour to entertain and instruct our own members and the visitors to our events. We do this by continually striving for historical authenticity in our clothing, artifacts, methods, weapons and tactics. 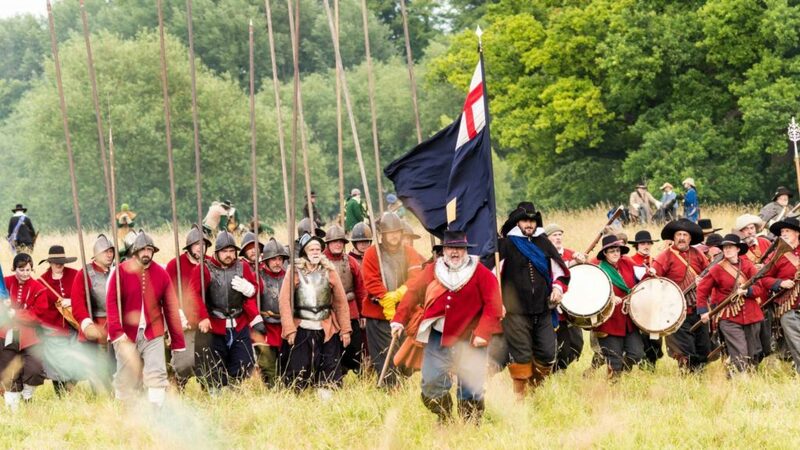 We have been active for over 30 years, seeking to recreate that turbulent period in British history, when the country was torn apart by a civil war in which brother fought against brother. In these pages you will be able to read about what we do, how to join us and how to engage our services at events..